The movie ‘Raanjhanaa’ is refreshing. It does not look like a remake of some Hollywood film or any other film. That’s the best point. The success of ‘formula’ films has crushed creativity in Indian film industry. People don’t want to try when the much treaded path gets them all the results. The idiotic buffoonery type films, the gangster type films, the wanderer-lover kind of films- you name it and Bollywood has a formula for box office bumper. 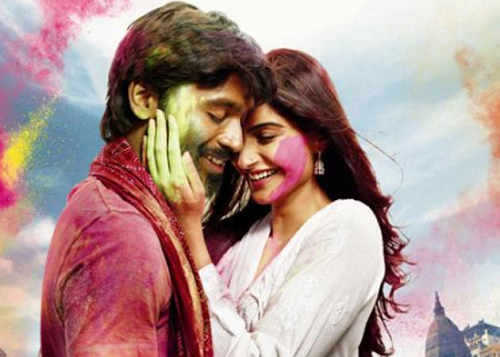 ‘Raanjhanaa’ is refreshingly different. The best part of the movie is its capturing of the essence of Varanasi. The ghats, the worshipping, the mode of expression, the ‘jugad’, the bluff- everything has been honestly portrayed. The friend of the protagonist, Murari has wonderful wisdom nuggets in his arsenal, like ‘The love of the mohalla is often taken by doctors and engineers’, ‘Is it love or a UPSC examination, not cleared even in ten years?’. The comic-sarcastic way of expression can only be understood and enjoyed; cannot be reported. The ‘mast’ life-style, the ‘nothing to lose’ situation of children and adolescents, the fun on roads, the brutal Holi, infatuation of a boy for a girl, the roadside eateries- what I like the most in this film is its portrayal of Varanasi. The hero looks truly ordinary, if not ugly. He is dark, lean, thin, uneducated, brazen, unsophisticated, impulsive, truly ordinary. Dhanush has succeeded in giving the roadside Romeo feeling. The first part of the movies is soaked in fun. The second part tries to wrap up the plot but not quite successfully. Sonam Kapoor has been flawless in her élan and sophistication. Very good-looking, smart, trendy, she has carried out the role of the heroine quite well. We can see why the hero is madly in love with her. Abhay Deol has also done justice to his role. The first half describes the extreme passion of this boy Kundan played by Dhanush for Zoya, a Muslim girl portrayed by Sonam. There are obvious disparities between the two. Zoya comes from upper middle class while Kundan is just on the floor of the economic strata. Zoya is educated; Kundan is not. Above everything else, they belong to different religions. It’s a mis-match right from the beginning. It’s a very filmy situation. The boy’s burning in the passion for the girl. The girl takes him most non-seriously, goes on to pursue her studies, her mission, falls in love with someone worthy of her. Kundan moves around hopelessly, sometimes helping Zoya, sometimes cursing her. Another tangle exists in form of another local girl who’s dying to marry Kundan. There’s not much in the story as such. The beauty is in the portrayal. Kundan topples Zoya’s marriage by declaring that the boy is posing as a Muslim, which he is actually not. The rest is all messy tragedy where both the boys die and Zoya lives on to serve a jail term. Overall the touch of Varanasi touches the viewer.